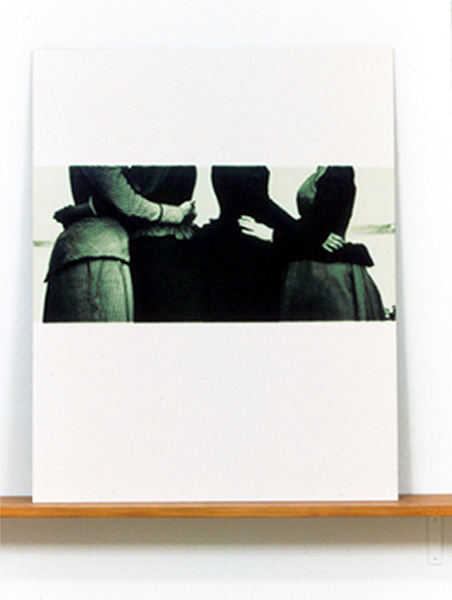 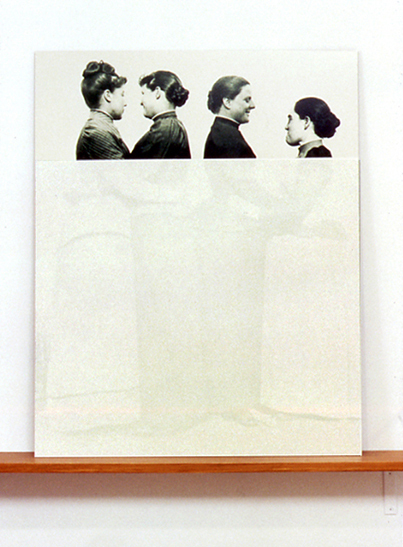 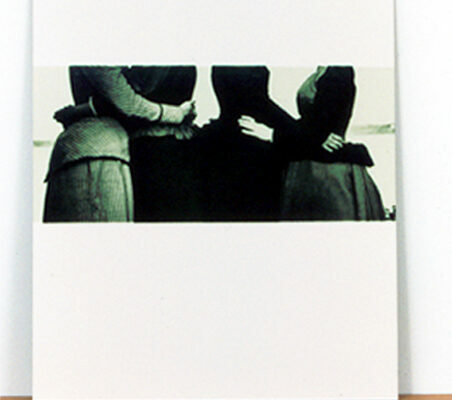 Based on a remarkable photograph taken in 1891 by Staten Island photographer Alice Austen, this series made 100 years after it was taken, is an homage to Austen for leaving a photographic record of a Victorian lesbian existence and refutes attempts by historians to neglect, negate and erase this existence. 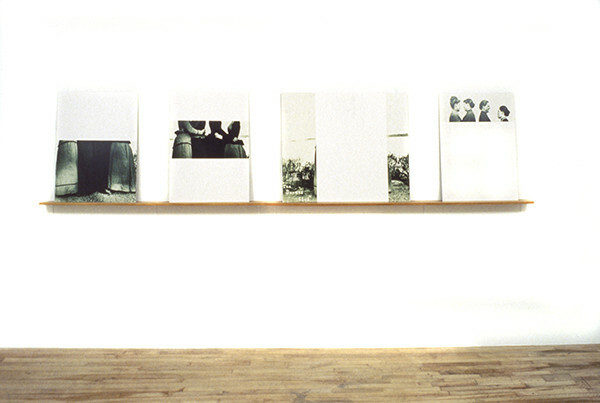 4, Chromogenic colour photographs mounted on masonite, pine shelf. 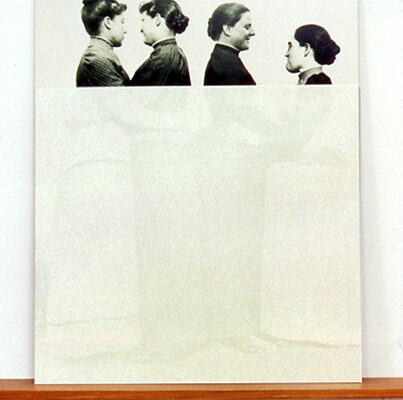 and discussion of this work in part of an essay by Richard Meyer in Queer Art & Culture.